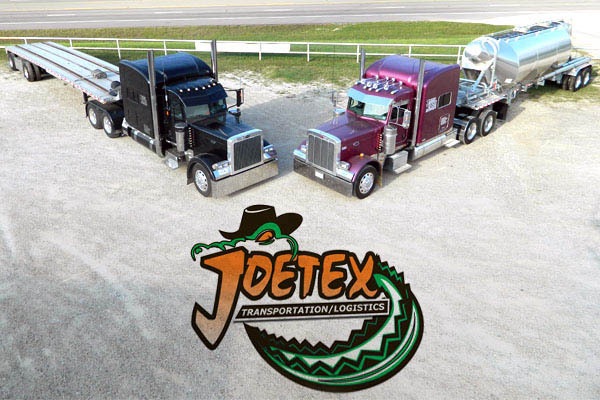 Joe Tex’s commitment to our clients knows no limits Joe Tex specializes in providing quality transportation management and trucking services throughout North America. By successfully integrating our in-house trucking fleets with our extensive network of core partner carriers, we deliver capacity when and where you need it. Joe Tex is proud to be a small business, transportation solution provider. Joe Tex is a family owned and operated business for over 25 years, and continues our commitment to our clients that knows no limits. Our motivated and dedicated teams have an all go, no quit attitude to do whatever it takes to complete and deliver all cargo of any size, anywhere in North America. Every day, we strive to bring our clients the best freight solutions that keep them turning to Joe Tex for all future freight needs.